How do I place an order or buy an in stock grip? Please send us an email at culinagrips@gmail.com or call us at 916-259-1251. Let us know which grip you are interested in, what you would like to order or if you have any questions. We are happy to assist you and respond to messages promptly. What is your payment/billing policy? We accept payment via credit card, paypal, money order, and by personal check. For in stock orders, we will take payment when your order is placed and ship within 2 business days. For custom orders, payment can be made when the grips are ready to ship. For custom orders that involve modifying the design, size or shape in any way, we require payment when the order is taken. Do your grips have a warranty? Yes, we offer a 1 year craftsmanship warranty and a 60 day warranty against warping. We quarantine all wood for a minimum of two months. If wood is going to warp, it will usually occur when it is first cut. We inspect the grips for warping throughout the production process and prior to shipping. If warping occurs several months later, chances are the grips were exposed to a lot of moisture. Grips can be returned within 14 days for any reason as long as they are in the same condition they were in when we mailed them and in the same packaging. We cannot accept grips with screwdriver gouges, or Fido’s chew marks, so please be careful. Unless the mistake was made on our end, returned grips will be subject to a 10% restocking fee and we cannot refund shipping costs. The restocking fee is because we will have to re-wax the grips to resell and because of the time and materials used to package the grips nicely so they arrive safely. Can I send you a piece of wood that I have? For a block, at least 5.5” long, 3” wide and 2” thick. For a plank: at least 11” long, 3” wide and 1” thick. There is no extra charge for using customer supplied lumber unless it’s an extremely difficult to work with species such as but not limited to: Ebony, Lignum Vitae and Snakewood. If interested, please contact us for more specific information. How do I care for my new grips? For most woods we use Tru-Oil and occasionally Tung Oil. If you scratch the grips, simply sand with a fine sand paper like 320-400 grit, apply a light coat of Tru-Oil, let it dry and then repeat until the area matches the rest of the grips. A paste wax may also be applied as much as you like to increase the shine, and protection of the wood. Simply apply a light coat of any quick drying furniture paste wax, let dry and then buff with a soft cotton cloth. Repeat as much as you like. Store grips away from moisture, extreme heat, and need we say, Fido. Enjoy! 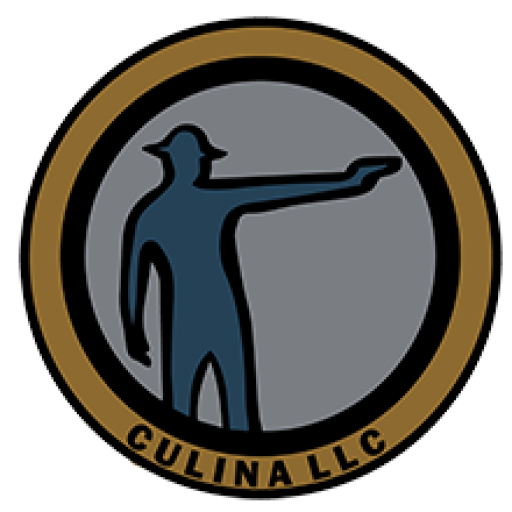 ©2018 Culina, LLC. All rights reserved.